Taylor Swift cleaned up last night at the 2015 Billboard Music Awards with eight trophies including "Top Artist". This was no surprise to most - including Swift. The image above was captured earlier this year at the iHeartRadio Music Awards. In this moment she is feigning surprise. During sincere surprise the mouth opens significantly more than is seen on Ms. Swift - taking on a vertically-oriented oval appearance. Moreover, the teeth are rarely if ever visible - and NEVER to this degree. In sincere surprise the lips cover the teeth. 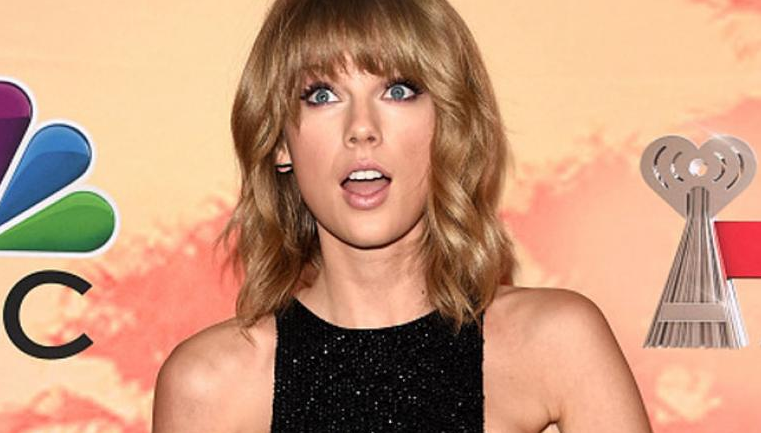 Here Taylor Swift is indeed faking surprise.